Lightweight: For moderate temps, most verastile. 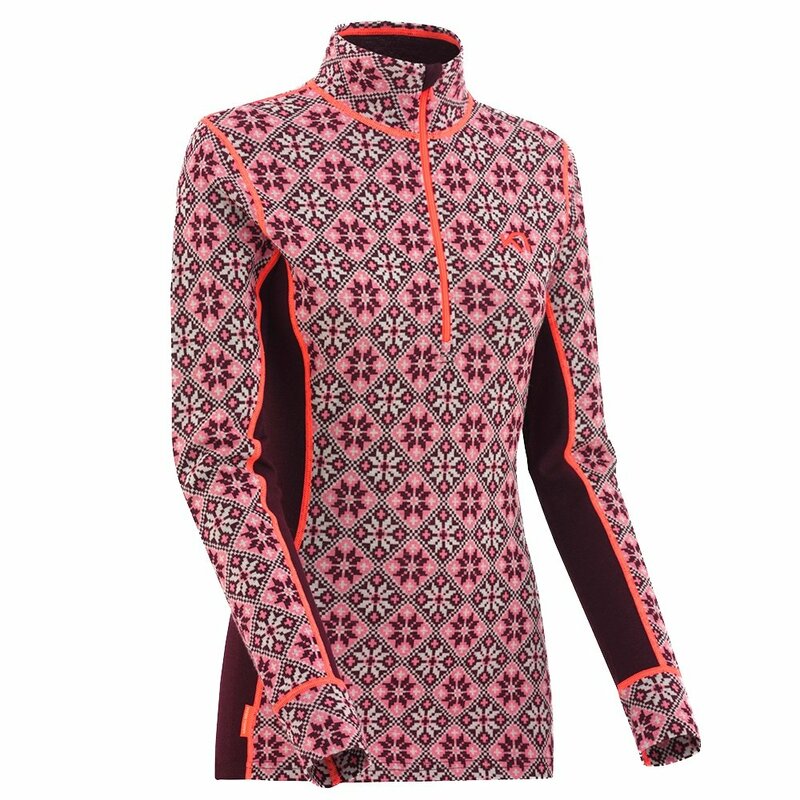 Get ready for functionality and a fun print because the Kari Traa Rose Half Zip Baselayer Top has it all. The Rose Half Zip keeps you warm with 100% Merino wool, a high collar, and contoured cuff sleeves. All while the chin guard, ventilating quarter zip, Stretch fabric mapping, and soft feel ensure that the layer closest to your skin is as comfortable as possible. Additional flatlock seams and flattering cut lines make sure that this top will fit under your outer layers perfectly all while keeping a sleek profile when worn alone. "Does this run big or small? I am 5'6 and weigh 130. What size would be best?" "Thank you for contacting us. Unfortunately, the manufacturer of Kari Traa have not provided us with the sizing chart for this item. Please let me know if I can be of any further assistance. You can call us at 800-818-0946. "